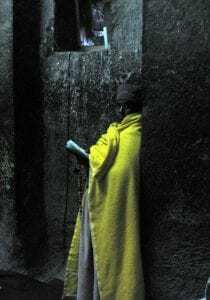 Tour Ethiopia: Lalibela’s underground churches, Axum’s huge monolithic stelae, Gondor’s royal palace, and the tribal areas of the Omo Valley. 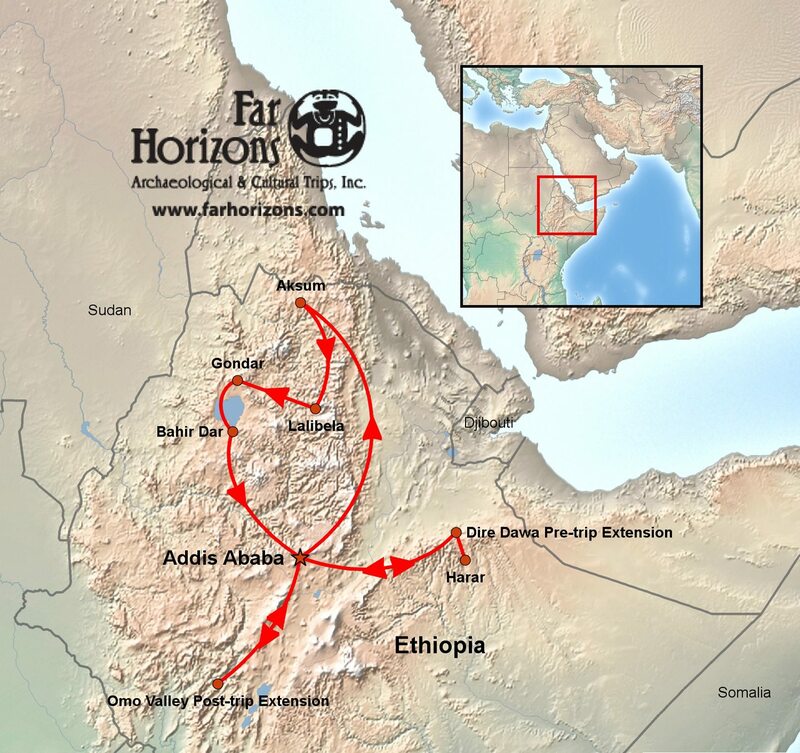 Why take Far Horizons’ Tour to Ethiopia? Day 2: Arrive Addis Ababa. Day 3: Fly to Dire Dawa. 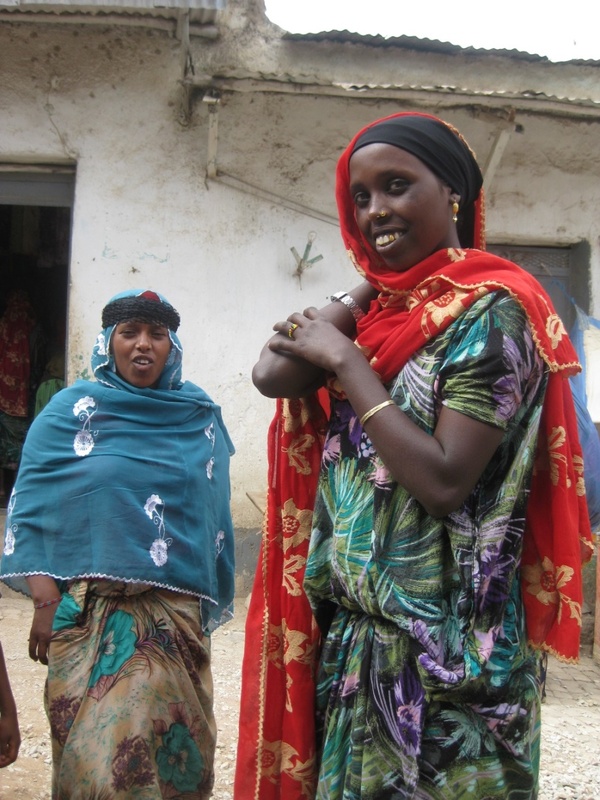 Harar city tour. 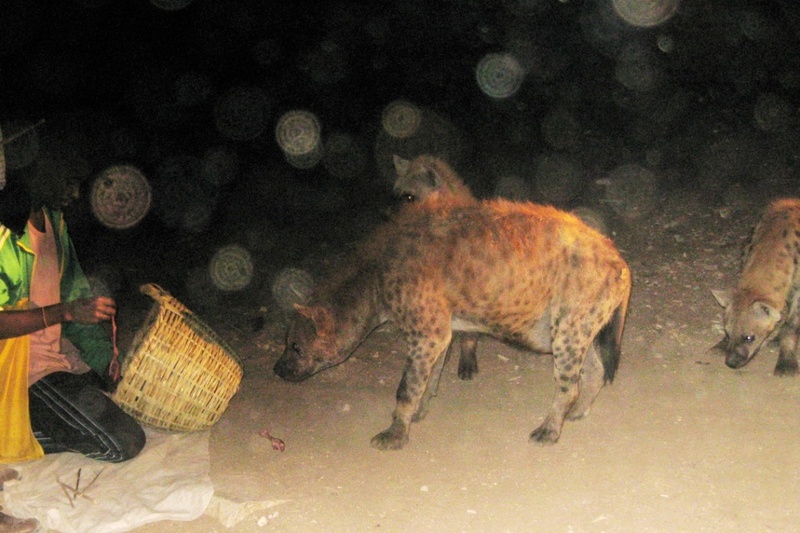 Day 4: Transfer to Dire Dawa. Fly to Addis Ababa. 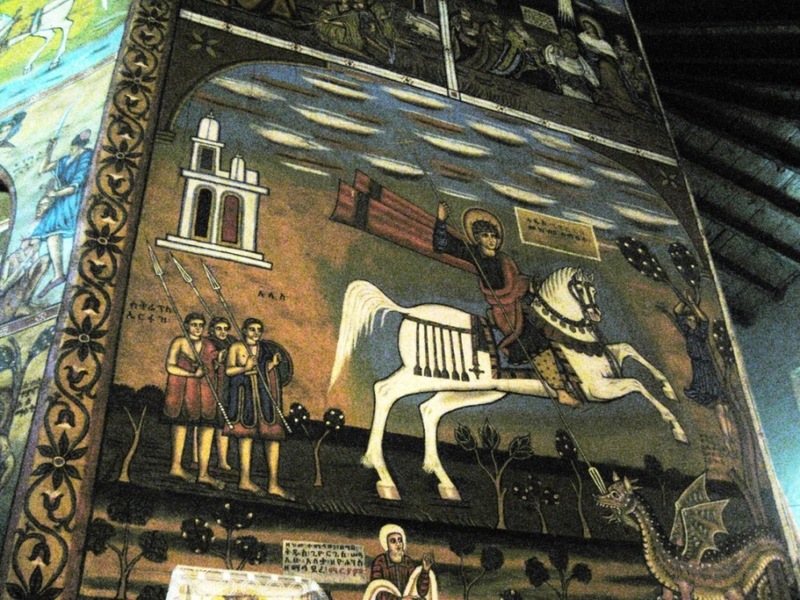 Day 3: Melka Kunture. Tiya. 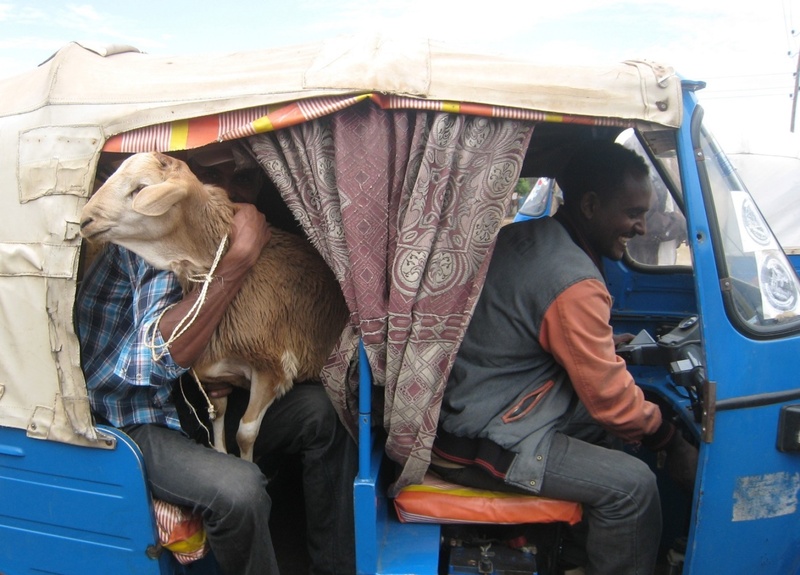 Day 4: Addis Ababa city tour. 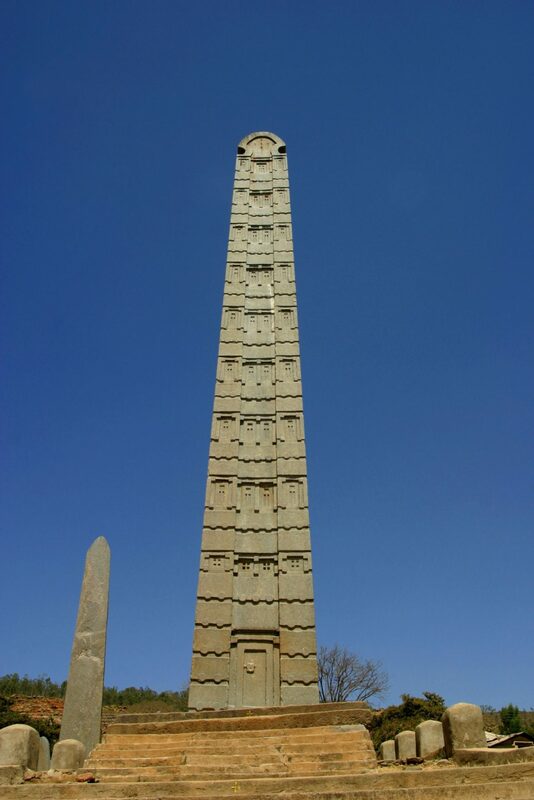 Day 5: Fly to Axum with city tour. 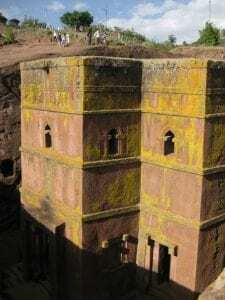 Day 7: Fly to Lalibela and tour churches. Day 8: Visit Lalibela churches. Yemrehane Christos. Day 9: Fly to Gondar with city tour. 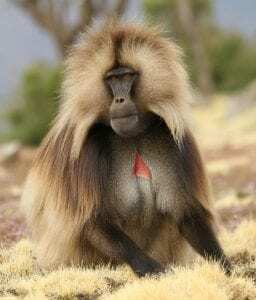 Day 10: Simien Mountain National Park. 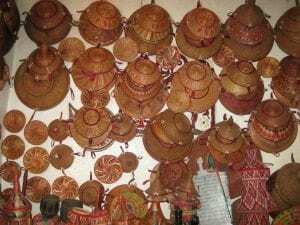 Day 12: Transfer to Bahir Dar. Day 13: Lake Tana. 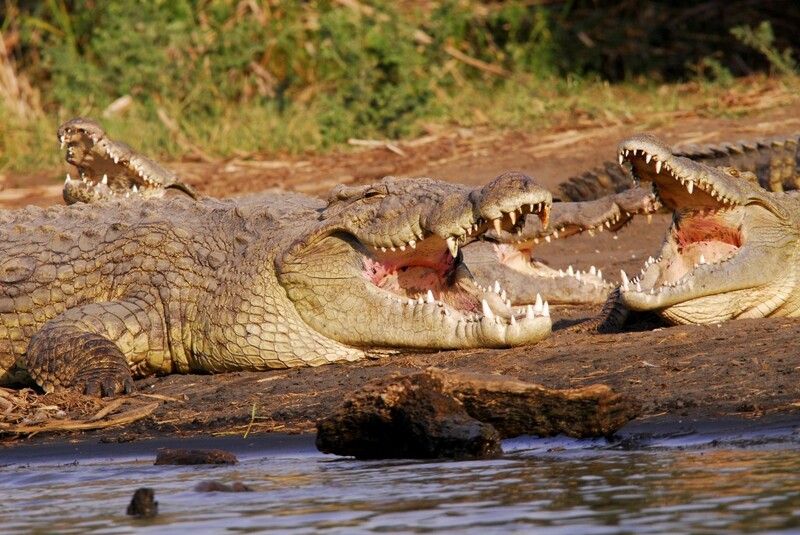 Blue Nile. Day 14: Fly to Addis. Day 15: Depart for USA. 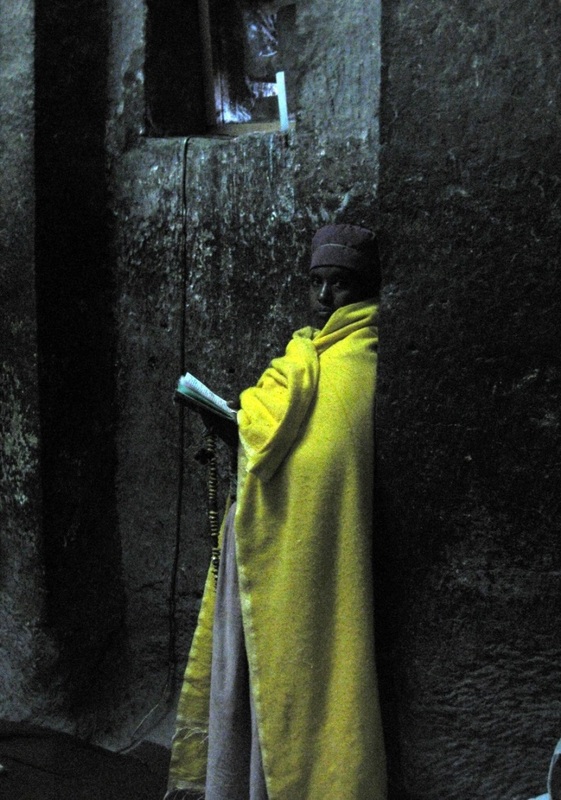 Day 14: Overnight in Addis Ababa. 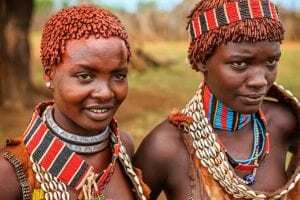 Day 15: Fly to Arba Minch. The Dorze Village. Day 16: Boat trip on Lake Chamo. 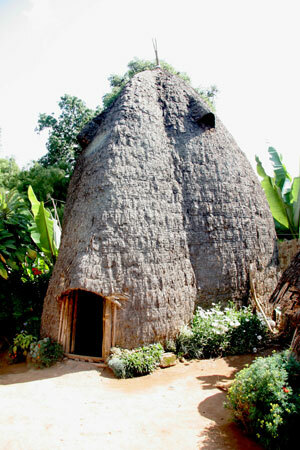 Konso Village. 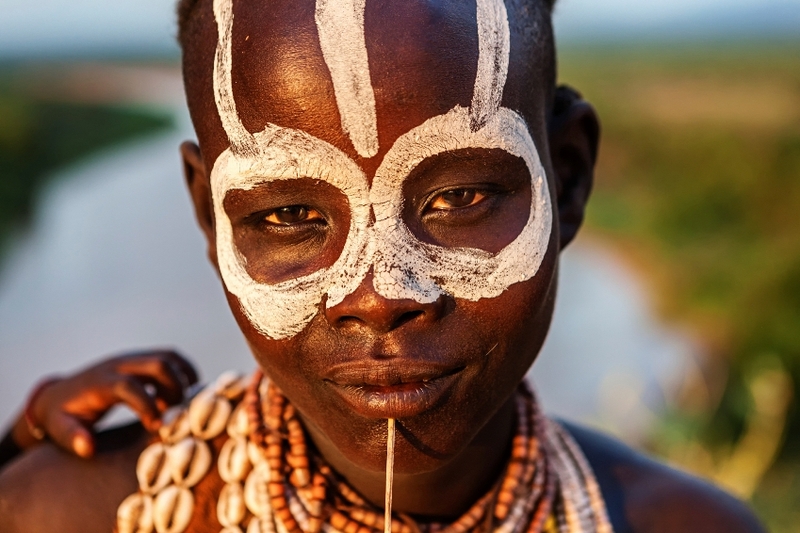 Day 17: Visit the Mursi and Hamer tribes. 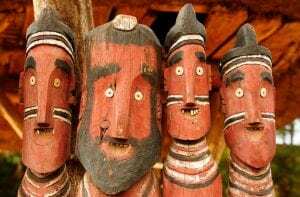 Day 18: Visit the Karo Tribe. Dimeka Market. Day 19: Fly back to Addis Ababa. Day 20: Depart for USA. 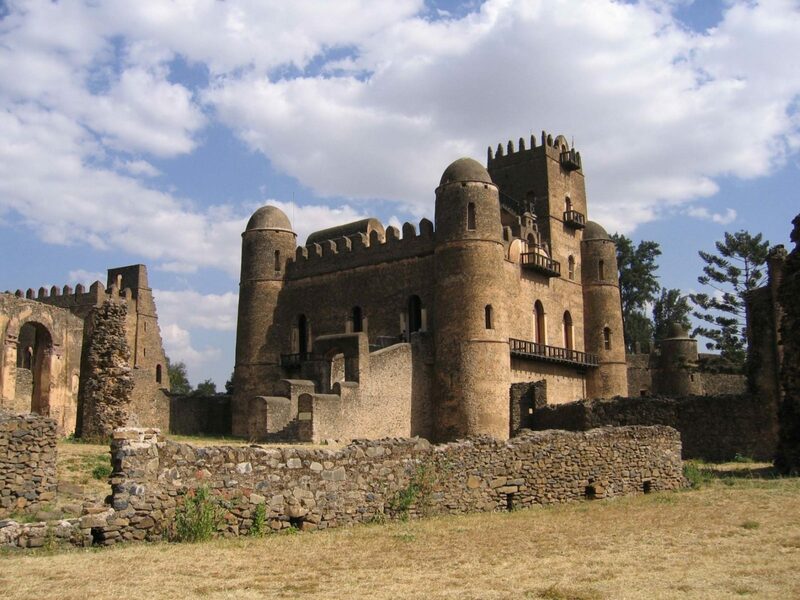 Ethiopia, formerly called Abyssinia, is one of the oldest countries in the world. 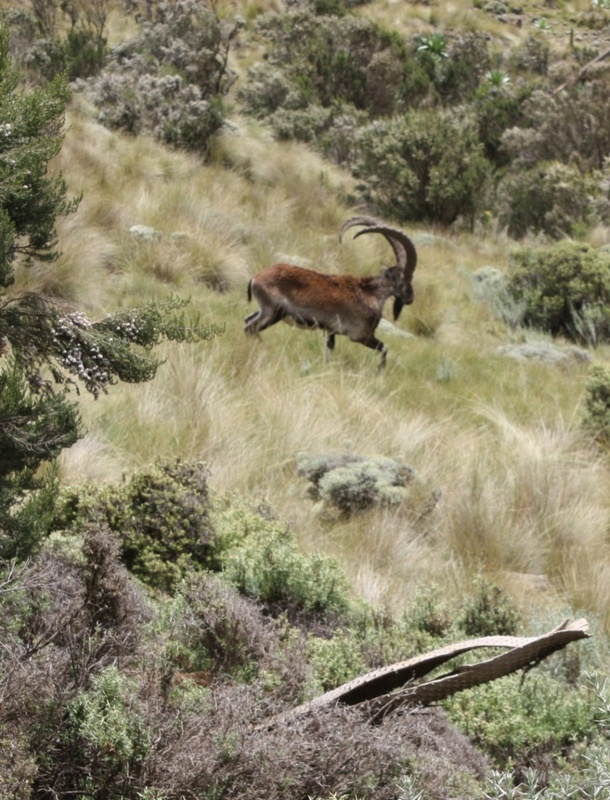 Perched atop Africa’s highest plateau, the country is protected by forbidding deserts and tropical lowlands. 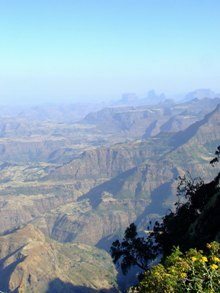 Despite its apparent mountainous isolation, Ethiopia has long been a crossroads for Africa, the Middle East and the Indian Ocean, and a site of dynamic interaction between people from throughout the world. 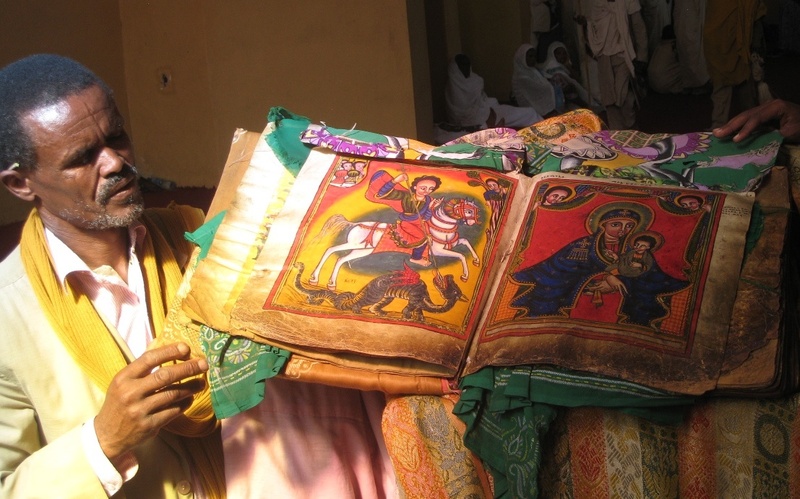 Ethiopia developed its own written language and has a sophisticated culture based upon a deep love of religion. 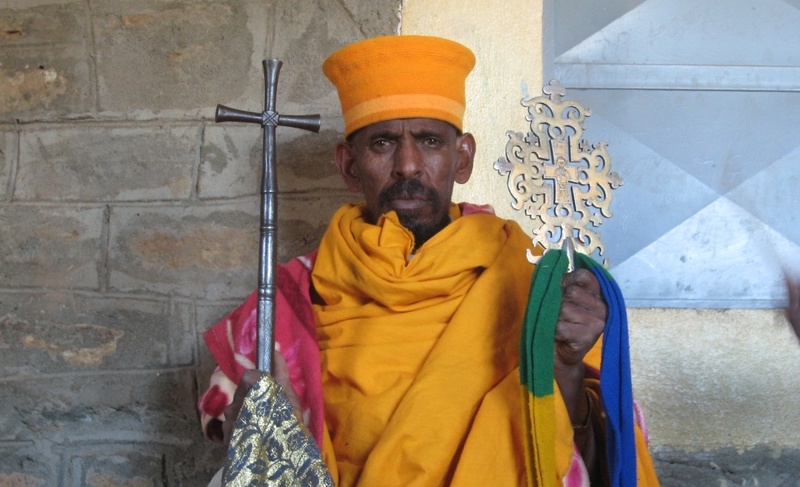 In the highlands, Ethiopia’s Orthodox Church predates the Vatican and is one of the oldest continuously Christian churches in the world. 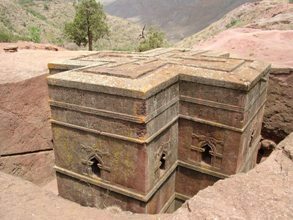 A fascinating and rich history includes legends claiming that the Aksumite Kingdom dates back to when the Queen of Sheba ruled the land, and that Ethiopia’s first king, Menelik I, was the son of this queen and King Solomon of Israel. 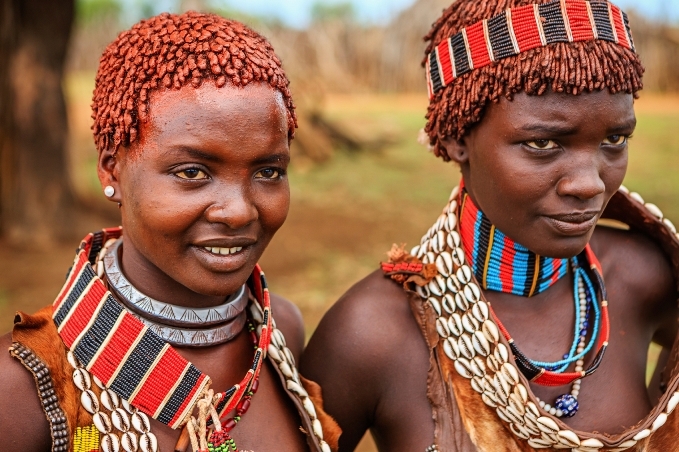 Far Horizons proudly presents a 15-day Ethiopia tour, one of the world’s most remote and fascinating countries where the people are warm and welcoming, and stunningly handsome in their traditional dress. The trip itinerary is planned around the Meskel celebrations which take place throughout the country and most likely most likely replaced an older, pagan festival. On the evening of the festival, locally called demera, bright yellow daisies are tied to firewood and piled high in the center of towns. 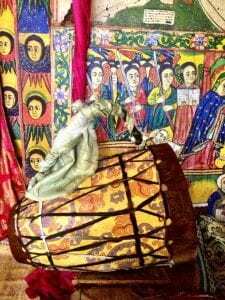 Colorful processions of local people, along with priests carrying burning torches, convene on to the square where the pyre is lit and the celebrations continue until dawn. This exciting Ethiopia tour itinerary includes spectacular scenery, visits to fabulous ancient ruins, and the opportunity to mingle with the many different people from across the country. 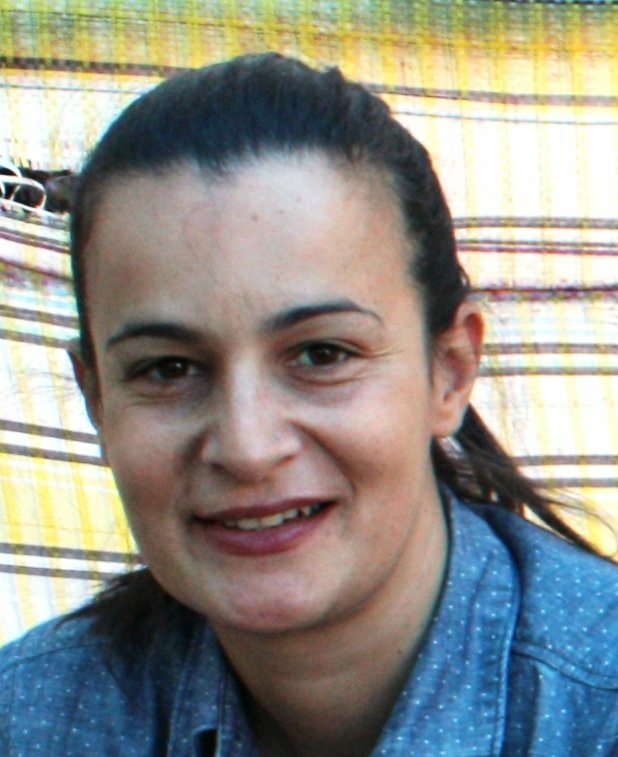 Luisa Sernicola received her M.A. in Classic Archaeology, with a dissertation on Ethiopia Archaeology, from the University of Naples, and her PhD in African Archaeology from the same institution. 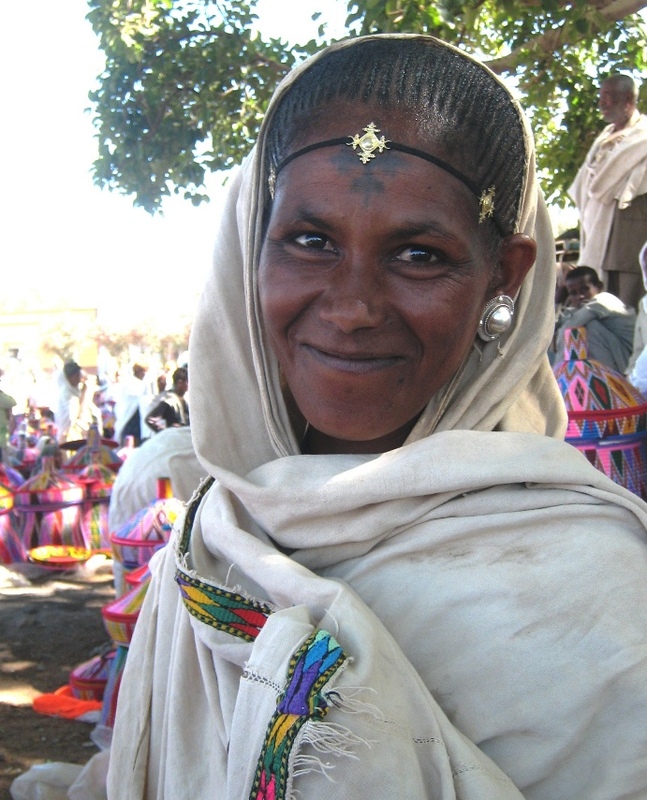 She has worked as a Research Assistant in Ethiopian Archaeology at the University of Naples, a member of the International Cooperation Program between the University of Naples and Addis Ababa University in Ethiopia, and, most recently, as a researcher at the Hiob Ludolf Center for Ethiopian Studies at the University of Hamburg. 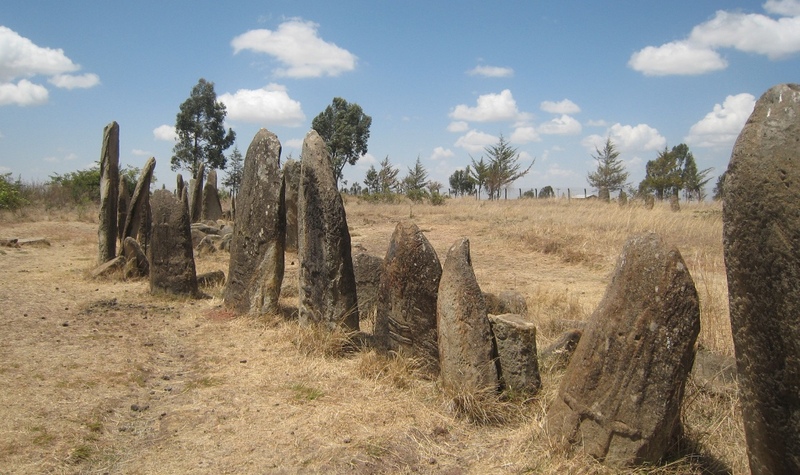 Dr. Sernicola conducted field work at Bieta Giyorgis (Aksum, Ethiopia) from 2005-2008, at Yeha (Tigray Region) in 2009, and at Seglamen (Aksum, Ethiopia) from 2010-2014. 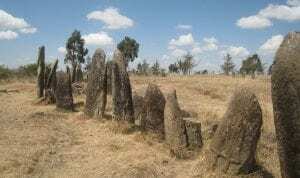 Her research and particular area of interest has to do with the ancient settlement patterns in the area of Aksum, a subject on which she has taught many courses at the University of Naples. 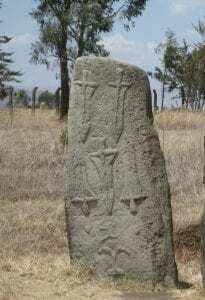 She has presented papers on the subject throughout Europe and Ethiopia. 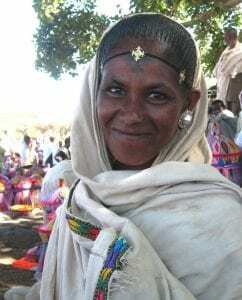 Fluent in Ge’ez, the ancient Ethiopian language, Dr. Sernicola’s deep connections with the archaeology and culture of Ethiopia make her an ideal leader for this trip. 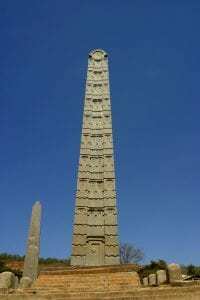 Day 2: Arrive today in Addis Ababa, the capital of Ethiopia and the third highest capital city in the world, at an altitude of 8,300 feet. 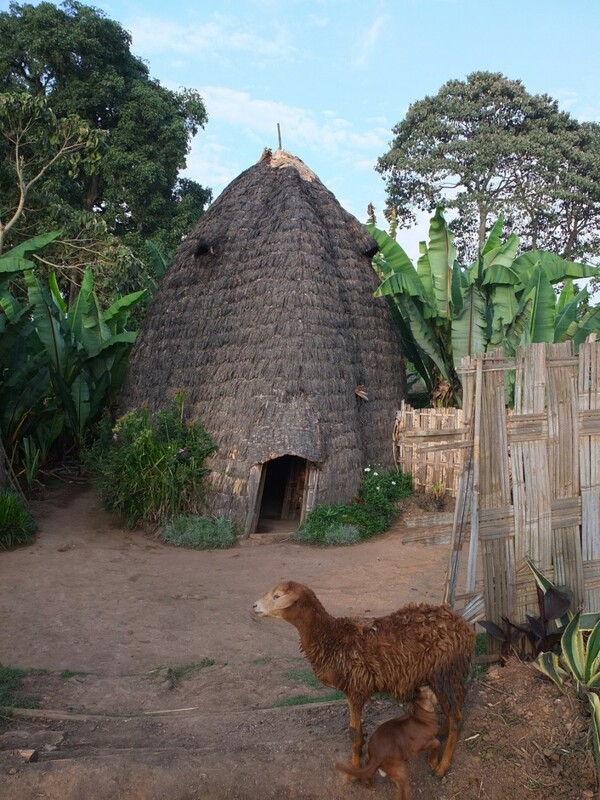 Overnight for two nights in the Hilton Hotel, a popular meeting place for upwardly mobile Ethiopians. Day 1: Depart the USA for Addis Ababa, Ethiopia. Day 2: Arrive to Addis Ababa and overnight at the Hilton Hotel. Dinner is on our own. 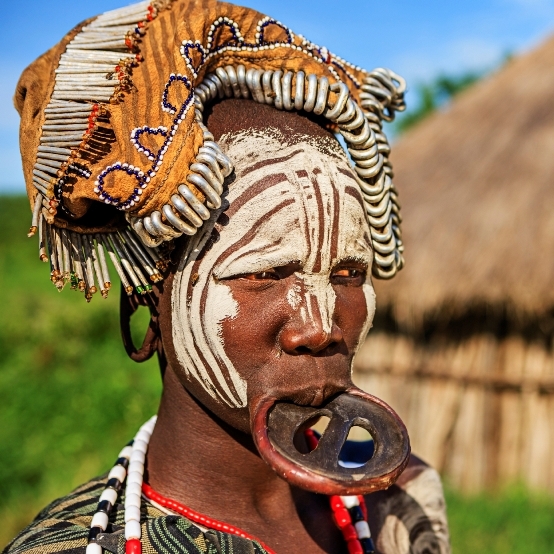 The Omo Valley of southern Ethiopia is one of the last undiscovered places on our planet. 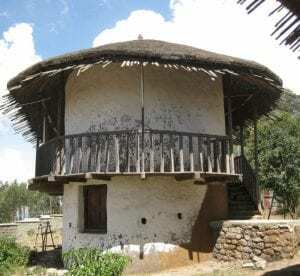 Three of Ethiopia’s eight UNESCO World Heritage Sites are found here and more than 200,000 people representing many different tribes call the area home. The many ethnic groups inhabiting the hills and banks along the Omo River are so cut off from the rest of that world that they have no written languages or calendars. 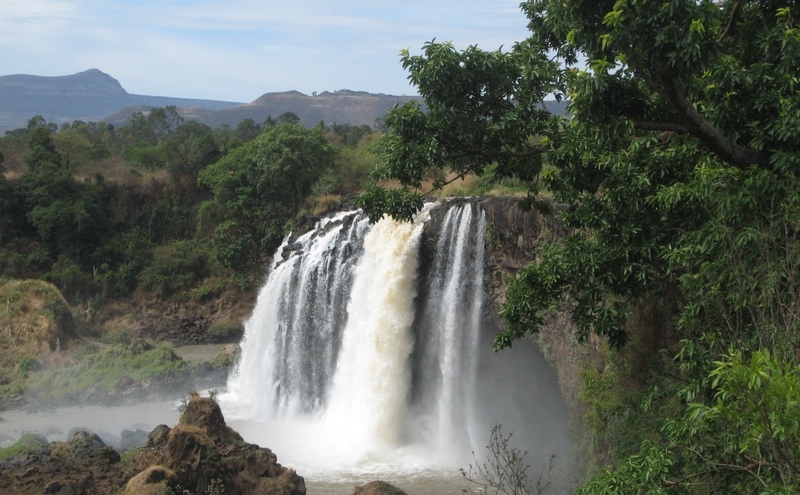 This region is also rich in natural beauty. The wildlife here is spectacular – the region displays the outstanding biodiversity of Ethiopia with more than 80 large mammal and over 300 bird and species. 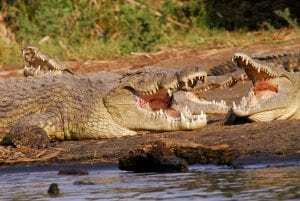 In this refuge see elephants, hippopotamuses, crocodiles, lions, leopards, cheetahs, giraffes, buffaloes, gazelles and much more! Learn about this unique land on this six-day pre-trip extension. Day 14: At the conclusion of the main tour, overnight at the Hilton Hotel in Addis Ababa. Dinner is on our own. Day 20: Arrive to the USA. 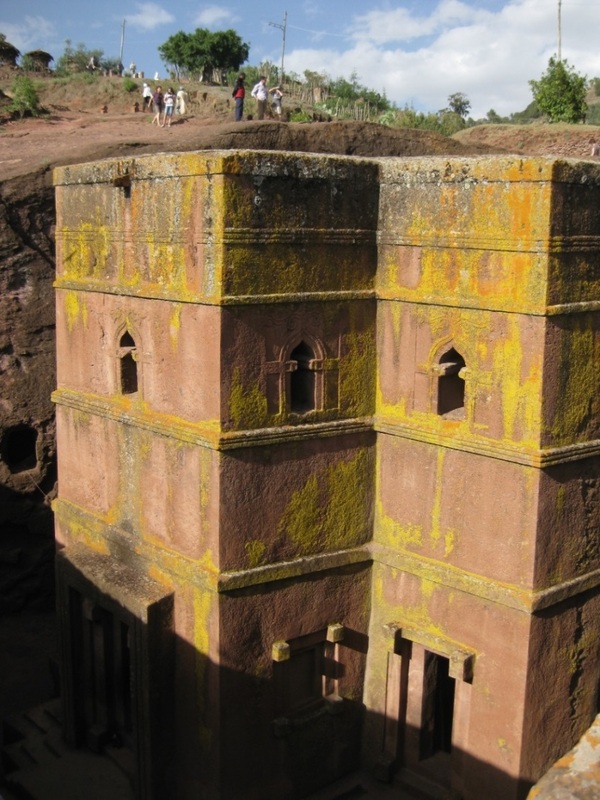 Main Tour Cost: $9,995.00 (per person, double occupancy) includes roundtrip international airfare from the United States; four Ethiopian domestic flights; all hotels; gratuities to guides and drivers; most meals as noted; entry fees; and ground transportation within Ethiopia. Cost Does Not Include (for main tour and extensions): A separate donation check for $150.00 per participant made out to the designated donation project; passport or visa fees; airport or departure taxes; alcoholic drinks, beverages or food not included on regular menus; laundry; excess baggage charges; personal tips; email, telephone and fax charges; or other items of a personal nature. Single Supplement: $1,295.00. Should a roommate be requested and one not be available, this supplement will be charged. Harar Extension Cost: $1,795.00 (per person, double occupancy) includes roundtrip airfare from Addis Ababa to Harar; all hotels; meals as noted; entry fees. Harar Extension Single Supplement: $195.00 Should a roommate be requested and one not be available, this supplement will be charged. 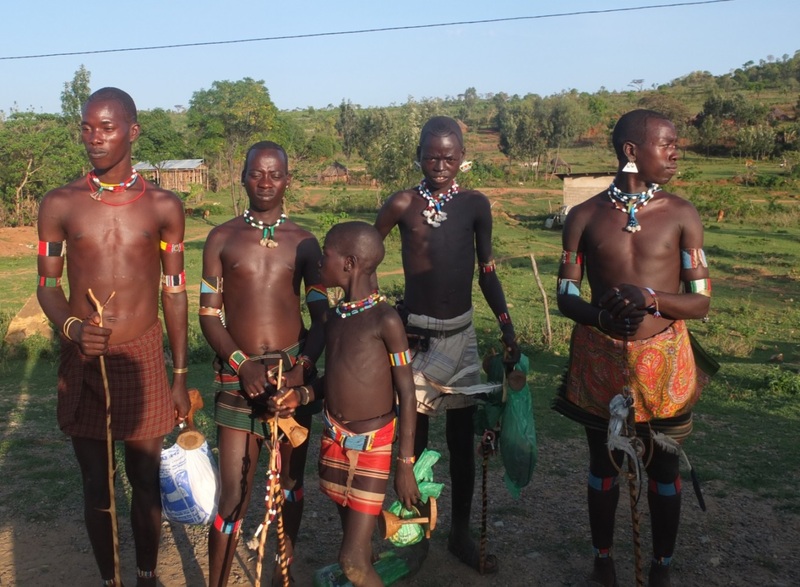 Omo Valley Extension Cost: $4,495.00 (per person, double occupancy) with a minimum of four paid participants includes two Ethiopian domestic flights; all hotels; most meals as noted; entry fees; and ground transportation within Ethiopia. Omo Valley Single Supplement: $325.00. Should a roommate be requested and one not be available, this supplement will be charged. Fuel Surcharges: Far Horizons must pass on price increases when fuel charges are levied. Any cancellation received in writing at least 120 days before departure will result in an administration fee of $450.00. Cancellations received less than 120 days before the starting date will not receive a refund. 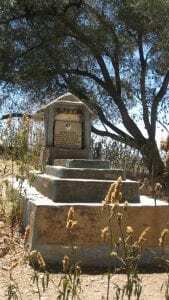 If for any reason you are unable to complete the tour, we will not reimburse any fees. Registrants are strongly advised to buy travel insurance that includes trip cancellation. This trip is for the hardy! This itinerary has been designed to be as comfortable as possible, but Ethiopia is under-developed and the infrastructure is not what we have learned to expect in more modern countries. Our bus is well maintained, but may not be new and there may be some long days with travel over unpaved or partially paved roads. We have carefully chosen hotels that are the best available, but they are frequently not up to Western standards. 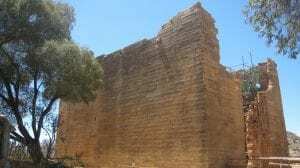 Within the past two years, the government has privatized most of the old hotels and improvements have been made to make them more comfortable. And there have been many new hotels constructed and we are using several of them. 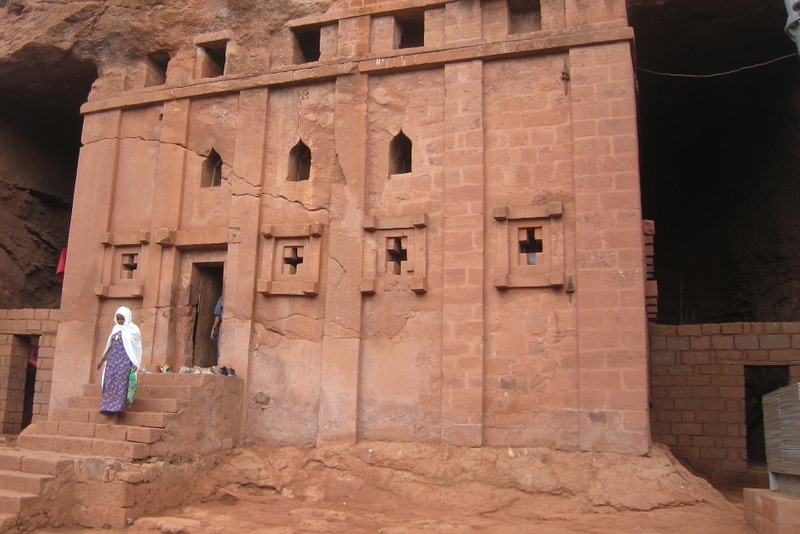 Many of the religious buildings in Ethiopia are not open to women, and we have included sites in which all are welcome. Walks of approximately 20-40 minutes may be required to reach some areas, including walks over steep gradients and over poorly maintained paths. 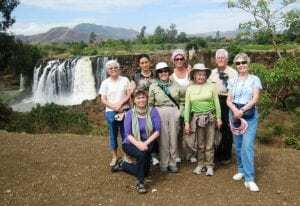 The adventurous nature of the itinerary makes it essential that participants be in good physical condition and have the ability to maintain a flexible attitude. Team spirit and a sense of humor will be helpful! If you have questions about your ability to handle this sort of challenge, please call us.